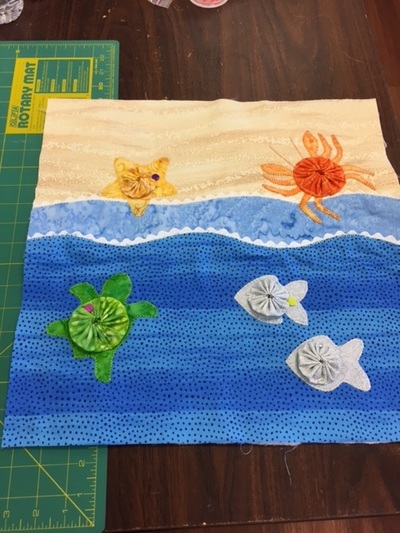 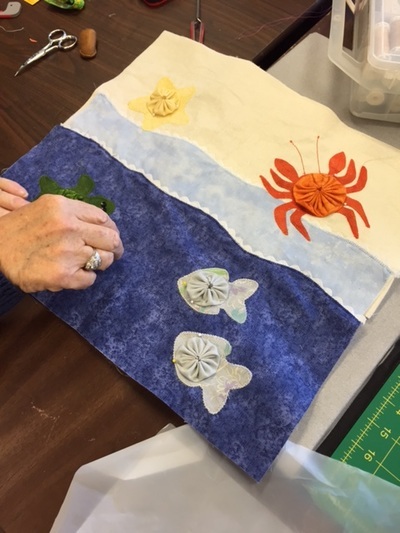 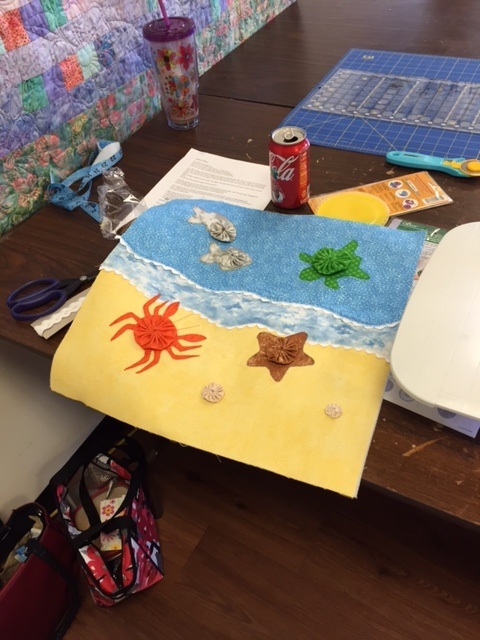 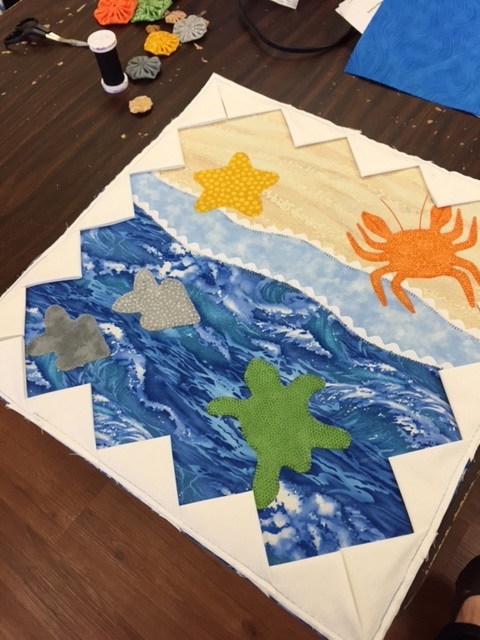 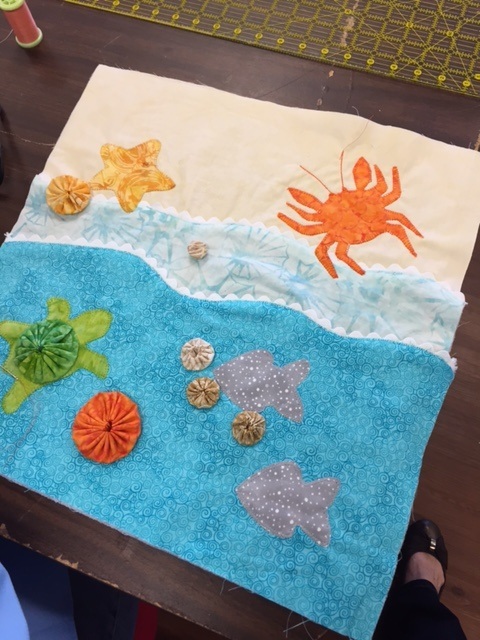 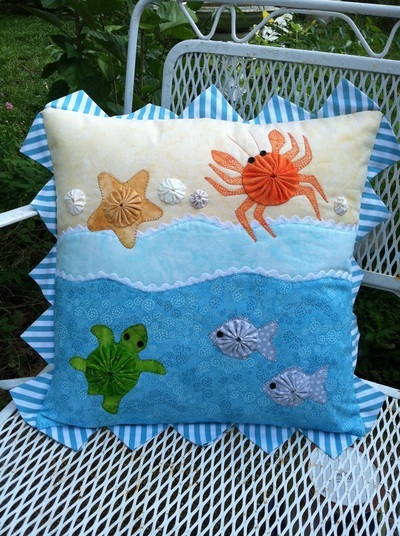 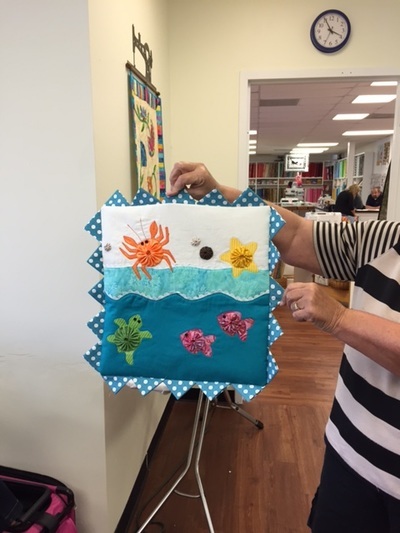 Using the same basic seashore pattern each class member created a pillow of unique design. 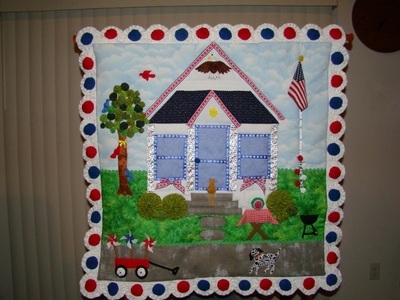 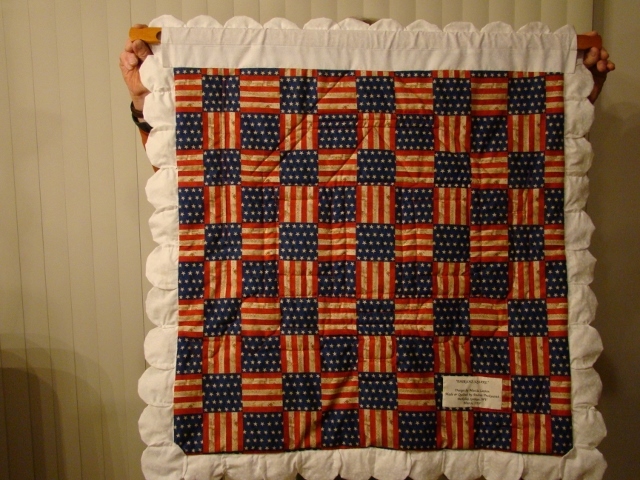 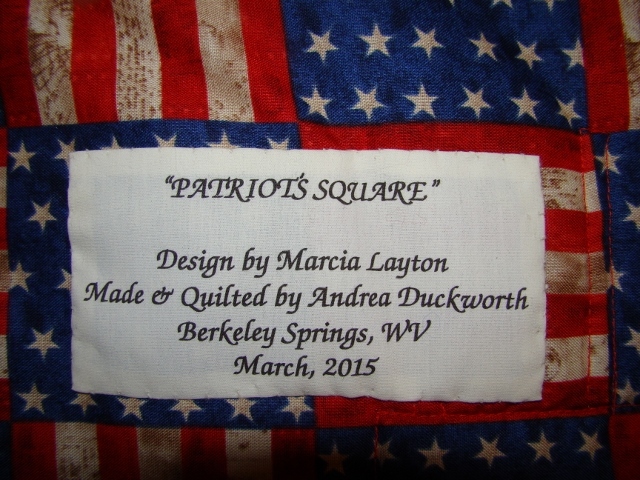 Andrea Duckworth made this quilt using the "Patriot's Corner" pattern for a "Yard Square" charity auction held by her guild. 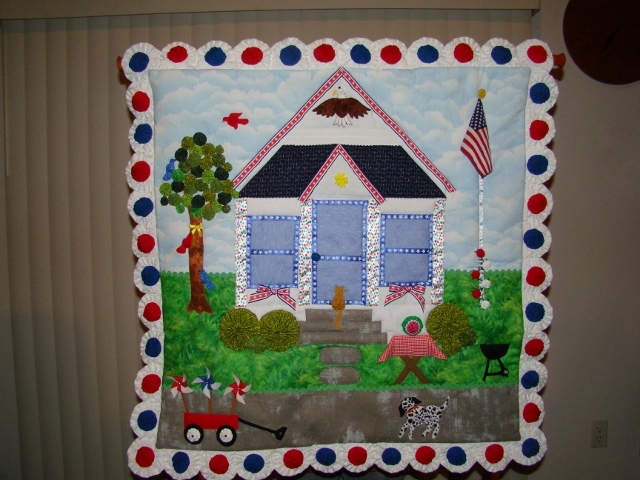 She added some birds and another tree from the "Cottontail Trail" pattern, some yo-yo flowers and embroidery to the flagpole. 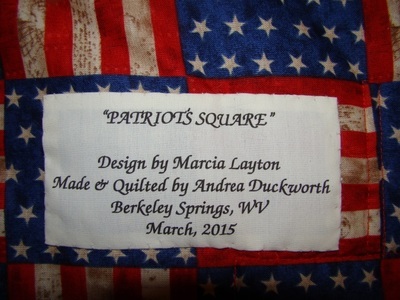 Andrea named her unique creation "Patriot's Square." 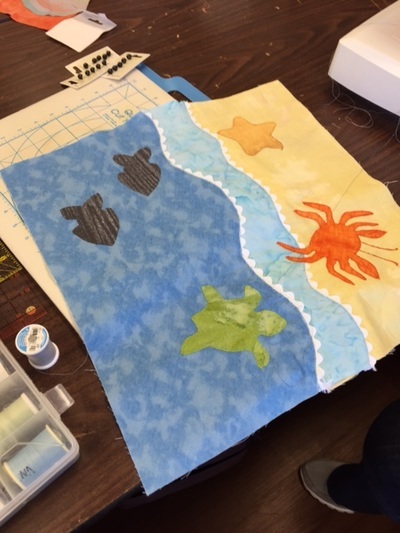 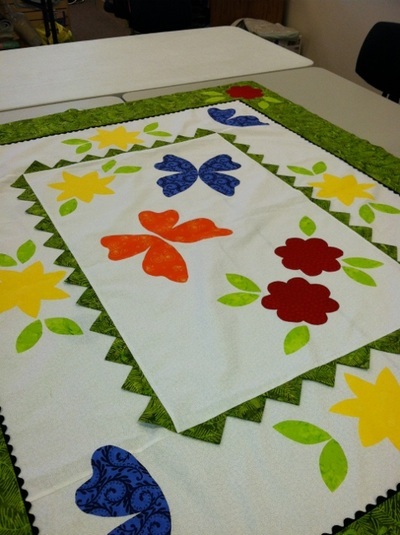 These three quilts are from a class held at Scrap & Sew in Tampa. 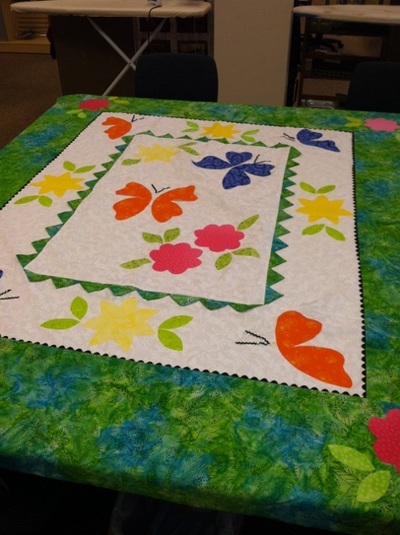 The first two are "Garden Frolic" in the works. 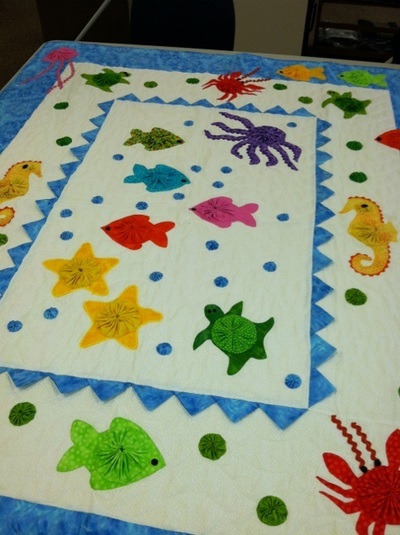 The third is a completed "Ocean Frolic" brought in for show and tell.